Solar eclipse 2017: A few things you need to know. Parts of the U.S. will have prime seats in a few weeks for the celestial event of the year, a total solar eclipse. 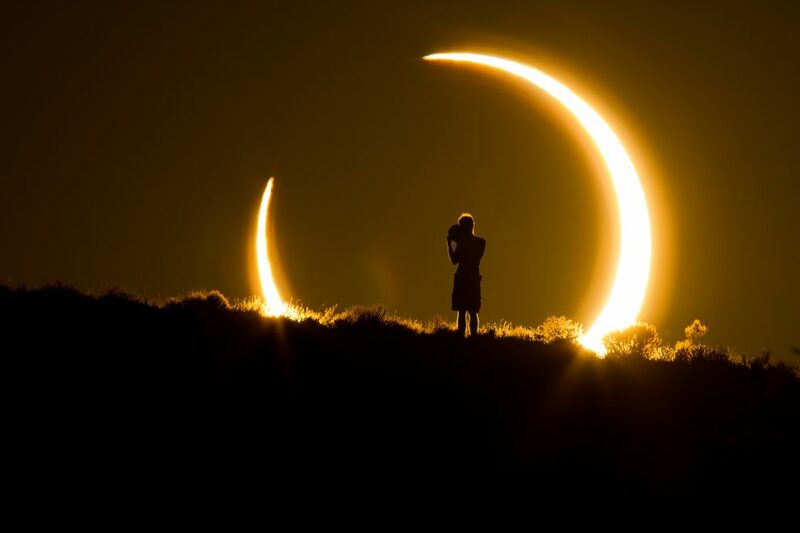 The eclipse will take place on Monday, Aug. 21, when the moon moves in between the sun and the Earth. The moon will be positioned so that it almost totally blots out the sun — for those lucky enough to be in the path of totality. Other locations, including Alabama, will get to see a partial eclipse, where the sun is partially obscured. It’s been a while since a total solar eclipse was visible to so many in the United States. This is the first time since 1979 that a total eclipse has crossed the United States and the first time since 1918 that one will travel from coast to coast. Everyone in the 50 states will be able to experience at least a partial eclipse, weather permitting. No other country falls in the path of the total eclipse, according to NOAA. Day will turn to night only in what’s called “the path of totality.” That path will be approximately 70 miles wide and stretch from Oregon to South Carolina. The farther away from the path of totality, the less the moon will cover the sun from the viewer’s standpoint. Most people will see a partial eclipse. The path of totality will pass through five state capitals on its trek (from west to east): Salem, Ore.; Lincoln, Neb. ; Jefferson City, Mo. ; Nashville and Columbia, S.C. The lunar shadow, according to NASA, will first enter the U.S. near Lincoln City, Ore., at 9:05 a.m. PDT (or 11:05 p.m. CDT). Totality will begin there at 10:16 a.m. PDT (or 12:16 p.m. CDT). The total eclipse will end in Charleston, S.C., at 2:48 p.m. EDT (1:48 p.m. CDT). The sun will be completely blocked by the moon for up to 2 minutes and 40 seconds, depending on where you are. The next total solar eclipse visible from the continental U.S. will be on April 8, 2024. At any spot on Earth a total eclipse happens only once every 100 years or so, according to NASA. NASA did the math, and found that every 1,000 years there will be 840 partial eclipses, 791 annular eclipses, 635 total eclipses and 114 hybrid eclipses. That works out to 2-3 eclipses of all kinds each year, and about two total solar eclipses every three years. Why Can’t You Look at the Sun During a Solar Eclipse?